These are links to other web sites. 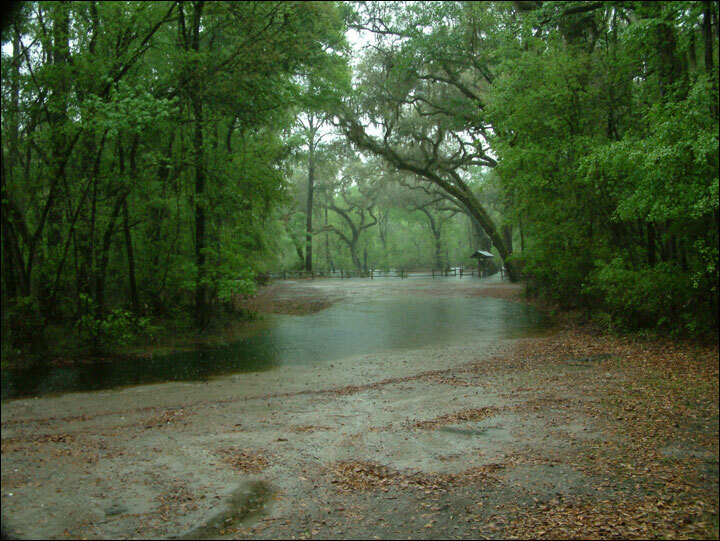 The Suwannee River Water Management District (SRWMD) does not endorse, approve, represent, certify, or control those external sites. Nor can the SRWMD guarantee the accuracy, completeness, efficacy, timeliness, or accurate sequencing of the information contained on them. 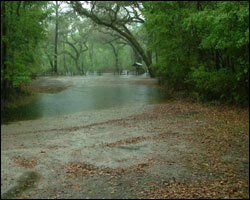 Suwannee Springs: At least six springs comprise Suwannee Springs -- all are clustered in a sandy 30-yard area at the edge of the Suwannee River. Four of the springs are at the edge of the river east and west and outside of a 15-ft high concrete and rock wall that confines the main spring system.